"Glenn fought a courageous battle for the past several weeks but, sadly, succumbed to complications from Rheumatoid Arthritis, Acute Ulcerative Colitis and Pneumonia. Words can neither describe our sorrow, nor our love and respect for all that he has given to us, his family, the music community & millions of fans worldwide." "He was like a brother to me; we were family, and like most families, there was some dysfunction. But, the bond we forged 45 years ago was never broken, even during the 14 years that the Eagles were dissolved. We were two young men who made the pilgrimage to Los Angeles with the same dream: to make our mark in the music industry -- and with perseverance, a deep love of music, our alliance with other great musicians and our manager, Irving Azoff, we built something that has lasted longer than anyone could have dreamed. But, Glenn was the one who started it all. He was the spark plug, the man with the plan. He had an encyclopedic knowledge of popular music and a work ethic that wouldn't quit. He was funny, bullheaded, mercurial, generous, deeply talented and driven. He loved is wife and kids more than anything. We are all in a state of shock, disbelief and profound sorrow. We brought our two-year 'History of the Eagles Tour' to a triumphant close at the end of July and now he is gone. 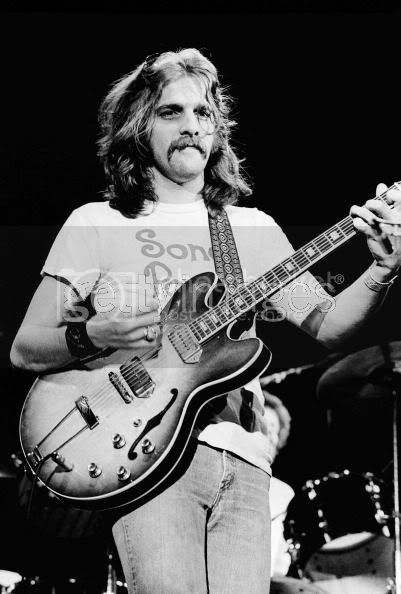 I'm not sure I believe in fate, but I know that crossing paths with Glenn Lewis Frey in 1970 changed my life forever, and it eventually had an impact on the lives of millions of other people all over the planet. It will be very strange going forward in a world without him in it. But, I will be grateful, every day, that he was in my life. Rest in peace, my brother. You did what you set out to do, and then some." Frey and Henley formed the Eagles in 1971, finding immediate success with their first—and one of their most enduring—hits, "Take It Easy." A veritable hit parade followed, with songs like "Peaceful Easy Feeling," "Desperado," "Tequila Sunrise," "Best of My Love," "Witchy Woman," "One of These Nights," "Already Gone," "Life in the Fast Lane," "New Kid in Town," and "Hotel California" making the band arguably the most popular act of the 1970s. The Eagles broke up in 1980, at which time Frey embarked on a successful solo career, scoring such hits as "The Heat Is On" from Beverly Hill Cop and "You Belong to the City" from Miami Vice. The Eagles reunited for the Hell Freezes Over tour in 1994 and have toured periodically over the past two decades. Frey won six Grammys in his career and was inducted into the Rock and Roll Hall of Fame in 1998 as a member of the Eagles. The iconic singer David Bowie passed away on Sunday, January 10, at age 69. According to a post on his Facebook page, Bowie "died peacefully today surrounded by his family after a courageous 18 month battle with cancer." Best known for his ever-changing stage identities—Ziggy Stardust, Major Tom, the Thin White Duke—Bowie harnessed and wielded the power of drama and imagery in music like no one else ever has, inspiring generations of theatrical music artists like Madonna and Lady Gaga in the process. A master of artistic reinvention, Bowie's music drew from diverse styles, infusing his rock sound with jazz, cabaret, and soul, and always on the pulse of the contemporary.